One hundred years before there was Saint Joseph’s in Berwick, the first organized Catholic activity led to the development of Immaculate Conception Parish. At that time all Catholics in Berwick worshipped in this parish. In 1917, the new pastor at Saint Mary’s (Father Leonard S. Baluta) found a large group of parishioners of Italian background in West Berwick who were gravely handicapped in the practice of their religion by language difficulties. 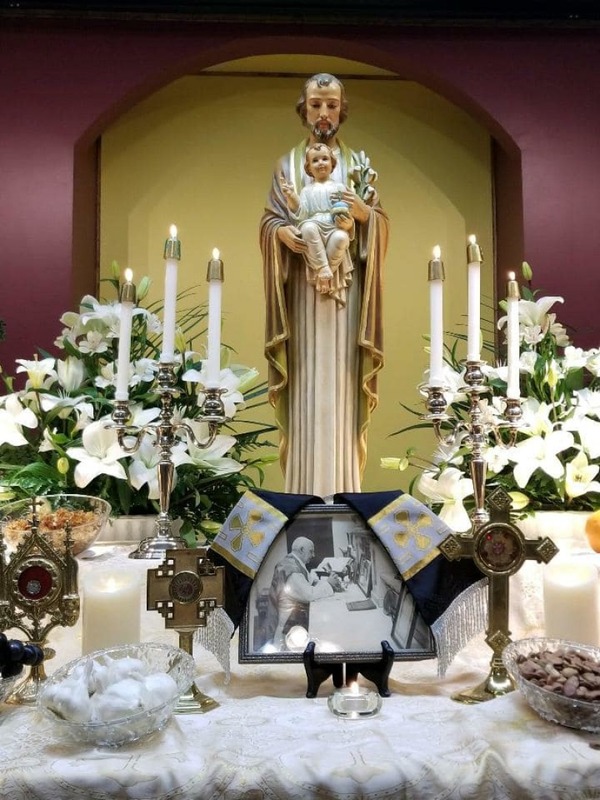 Aware of the need of a church to serve this growing number of Intalian-speaking Catholics, Father Baluta took steps to organize this group and in May 1921, rented a hall to provide space for dining services and religious instruction, and called it Saint Joseph Chapel. It was used from May 1921 to August 15, 1926. Prior to his death in 1925, Father Baluta completed plans for a new church to be built. The church was completed and dedicated on August 15, 1926 by Bishop Philip R. McDevitt. In August 1928, Father Francis A. Albanese was appointed the first pastor of the newly established Saint Joseph parish for the Italian people of West Berwick. On January 5, 1955, Saint Joseph’s Church was destroyed by fire. It was quickly rebuilt and was re-dedicated by Bishop George L. Leech on March 24, 1957. During the interval between the destruction of the old church and the opening of the new church, Sunday Masses were provided in the Temple Theater and other spiritual services were provided either in Saint Mary’s Church or Saints Cyril and Methodius Ukrainian Church. A parish school was under construction at the time of the fire and the school was blessed on the same day of the church dedication. The Daughters of Our Lady of Mercy staff the school. During its construction, classes were held in the halls of the Maria Assunta Society and the Catholic War Veterans. In 1995 with the suppression of all ethnic parishes, Saint Joseph’s became the district parish for West Berwick.